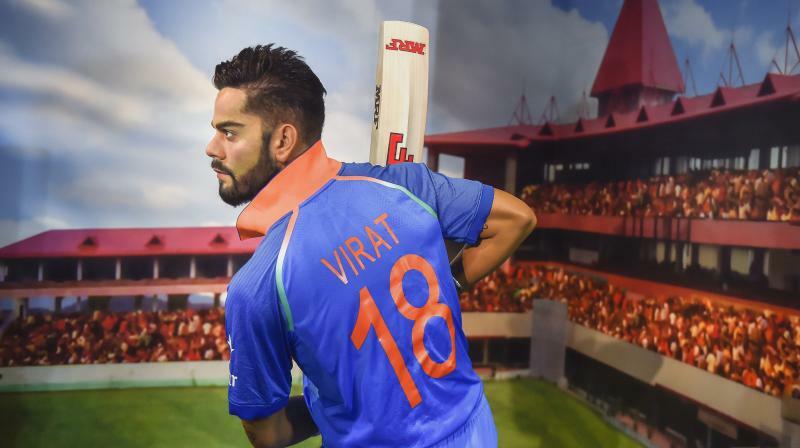 Deccan Chronicle – New Delhi: Indian cricket captain Virat Kohli’s wax statue was unveiled at the Madame Tussauds museum in the capital today. New Delhi: Indian cricket captain Virat Kohli’s wax statue was unveiled at the Madame Tussauds museum in the capital today. Virat Kohli’s pose symbolises his achievements as an international cricket icon. The growing love for him amongst his fans made him obvious choice for Madame Tussauds, Delhi.